In a classic example of adaptation to a harsh environment these lions exhibit unique ... data for the desert adapted lions of the Kunene Region, Namibia. Oswald Mosley's political life has been one consistent challenge. He challenged the Terror in Ireland in the Coalition. Parliament of the post-war profiteers. National Socialism, but the overarching theoretical perspectives will also be ... Benito Mussolini and Giovanni Gentile, “Foundations and Doctrine of Fascism”. vantages of developing an intermediate industry that imported tin-plate in- stead of finished ... weaving took place on manual machinery. In an interview, Mr.
National Archives (Public Record Office), London, FO 371/29210 R97898, .... eugenics education and public health campaigns, and laws restricting marriage. Strutting Our Stuff: Sujata Sankranti's. The Warp and the Weft. Sharon Rundle. 199. PART HI: SPEAKING FOR THEMSELVES: WRITERS ON WRITING. 13. >. A MICROCOSMIC VIEW OF ARCHAEOLOGICAL POLITICS to transport about 20,000 cubic meters of sand" (Petricioli, 1990:382). It is significant for us that, although Graeco-Roman in date, the remains of the sanctuary were substantially Egyptian in character. Throughout the summer of 1931 Anti argued for the resumption of activity in the Valley of the Queens. Schiaparellis work was unfinished leaving the site resembling a battle field, and the possibilities of important discoveries were great, and Italy was the only country granted a concession there, which would be lost if not acted upon. Using Anti's arguments Guariglia tried in vain to persuade Grandi to give funds for the Valley project; there even were anonymous articles in the Popolo d'ltalia employing Anti's arguments trying to rouse popular support for their cause, but all the ministries refused (Petricioli, 1990:383-385). At this time the search was on for a successor to Breccia as the director of the Graeco-Roman Museum at Alexandria. Anti, an active fascist (Isnenghi, 1992:223-239; Manacorda, 1982:451-452) proposed Bagnani but Breccia rejected him because he believed that he was "a snob who affected to speak English, married to a Canadian, presumptuous and antifascist." Another candidate, Doro Levi, was rejected because he was "Jewish, married to a Greek and therefore considered not suitable to hold a position of defense of Italianita" (Petricioli, 1990:390). Bagnani's own comments are enlightening: "Delia Seta proposed Levi, but his serious fault is not the Jew but the Greek wife in a place like Alex. ... I am in a strong position. ... I think that my not being a fascist, and being half English with an English wife, will count against me" (26 January 1932). Anti's budget for the 1932 season was half of the previous year's, "in total 98,600 lire between the residue and new allotments. Notwithstanding this, he succeeded in conducting a digging campaign of two months at Tebtunis, built a house for the mission and for twenty days sent Bagnani to the Valley of the Queens, with the objective of obtaining the renewal of that concession also for the following year" (Petricioli, 1990:385). At Tebtunis Anti and Bagnani finished clearing the large sanctuary of sand but found that the limestone temple had been dismantled in antiquity Of greater significance for the future of the dig, however, was the fact that they knew that Anti was going to be promoted to being the rector of the University of Padua in October 1932, remaining as director of the dig in name only and leaving Bagnani as acting or field director; not having a formal position in Italy, Bagnani was not qualified to be the actual director. While extensively expanding his university over the next decade, Anti lost interest in pursuing Egyptian excavations. In July 1932 on the eve of the new financial year, Paribeni renewed his appeals to Grandi to grant another extraordinary contribution to maintain what had been started, as there remained only 133,817.70 lire. In the meantime, feeling increasingly isolated diplomatically, Mussolini became his own foreign minister again in July 1932, sending Grandi as Ambassador to London and, subsequently. governmental takeover of overseas assets, and thus the financial independence, of the field director. As a note of caution, it should be pointed out that the conclusions of this examination of the relationship of the history of the excavations and the funding and its motivations are inferences based on circumstantial, not explicit, evidence: it was imperialistic Italian foreign policy like "peaceful penetration" that enabled Anti to start the excavation in Egypt, Anti's fascist interest in town planning that selected the site, and fascist propaganda like Romanita that contributed to its demise. Note 1. I am grateful to Prof. Glaudio Gallazzi of Milan for lending me a copy of this report. 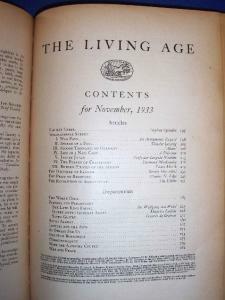 Bibliography Ami, C, 1930, Un esempio di sistemazione urbanistica nel III sec. A. C. Architettura e Arti decorative 10:97-107. Anti, C, 1933a, I Sovrani d'Ualia in Egitto. Nuova Antologia April 1933:546-552. Anti, C, 1933b, II contributo italiano agli studi di Antichita in colonia e all'estero. Scuola e Cultura 9:308-316. Anti, C, 1996, Propedeutica archeologica. CEDAM, Padua. 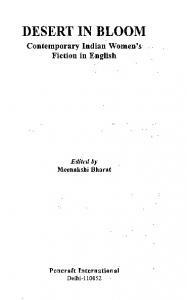 Bagnani, G., 1935, unpublished Final Report for 1935. Barbanera, M., 1998, Larcheplogia degli Italiani. Editori Riuniti, Rome. Crider, E., 1978, Italo-Egyptian Relations in the Interwar Period, 1922-1942. Unpublished Ph.D. dissertation, Ohio State University. De Felice, R., 1982, Grandi, Dino. In Historical Dictionary oj Fascist Italy edited by P Cannistraro, pp. 254-260. Greenwood Press, Westport, CT. Donadoni, S., Curto, S., and Donadoni Roved, A. M., 1990, Egypt from Myth to Egyptology. Fabbri Editori, Milan. Gessert, G., 2003, Archaeology and Fascism: The Excavation of Ostia and LEsposizione Universale di Roma. In Abstracts. Ameirican Philolo^cal Association 134th Annual Meeting, Philadelphia: American Philological Association, 20. Guidi, A., 1996, Nationalism without a Nation: The Italian Case. In Nationalism and Archaeolo^ in Europe, edited by M. Diaz-Andreu and T. Champion, pp. 108-118. UCL Press, London. Isnenghi, C, 1992, Carlo Anti intellettuale militante. In Carlo Anti Giornate di studio nel centennio della nascita, pp. 223-239. Edizioni LINT, Trieste. Italy in the Near East: A Royal Visit, The Times, February 22, 1933, p. 13. Kostof, S., 1978, The Emperor and the Duce: The Planning of Piazzale Augusto Imperatore in Rome. In Art and Architecture in the Service oj Politics, edited by H. Millon and L. Nochlin, pp. 270-325. MIT Press, Cambridge, MA. MacDonald, W, 1982, Excavation, Restoration, and Italian Architecture of the 1930s. In In Search of Modern Architecture: A Tribute to Henry-Russell Hitchcock, edited by H. Searing, pp. 298-320. MIT Press, Cambridge, MA. Manacorda, D., 1982, Per un'Indagine suU'Archeologia Italiana durante il Ventennio Fascista. Archeologia Medievale 9:443^470. Petricioli, M., 1986, Le Mission! archeologiche italiane nei paesi del Mediterraneo: uno stmmento di politica internazionale. In (ed) LArcheologia italiana nel Mediterraneofinoalia Seconda Guerra mondiale, edited by V La Rosa, pp. 9-31. Centro di Studi per I'Archeologia del CNR, Catania. Petricioli, M., 1990, Archeolo^a e Mare Nostrum. Le missioni archeolo^che nella politica mediterranea delVltalia 1898/1943. Valerio Levi, Rome. Quartararo, R., 1980, Roma tra Londra e Berlino. La politica estera Jascista dal 1930 al 1940. Bonacci Editore, Rome. Robertson, E., 1977, Mussolini as Empire-Builder Europe and Africa, 1932-36. The Macmillan Press, London. Segre, C, 1988, Liberal and Fascist Italy in the Middle East. 1919-1939: The Elusive White Stallion. In The Great Powers in the Middle East 1919-1939, edited by U. Dann, pp. 199-212. Holmes and Meier, New York. Schnapp,J., 1996, Sta^ng Fascism. 18 BL and the Theater of Masses for Masses. Stanford University Press, Stanford, CA. Terrenato, N., 2001, Ancestor Cults: The Perception of Ancient Rome in Modern Italian Culture. In Images of Rome. Perceptions of Ancient Rome in Europe and the United States in the Modem Age, Journal of Roman Archaeology, Supplementary Series 44, edited by R. Hingley, pp. 71-89. Journal of Roman Archaeology, Portsmouth, RI. Trigger, B., 1984, Alternative Archaeologies: Nationalist, Colonialist, Imperialist. Man 19:355-370. 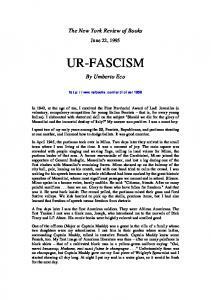 Visser, R., 1992, Fascist Doctrine and the Cult of the Romanita. Journal of Contemporary History 27:5-22. 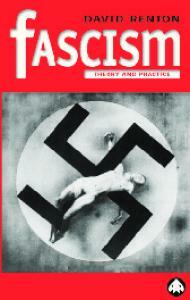 Report "Fascism in the Desert"